Being a Mom herself, Dr. Agarwal knows how important it is to instill good oral hygiene in a child when they are still young. According to the American Academy of Pediatric Dentistry, the first time a child needs to see a Dentist is usually before his/her 1st birthday or when his/her first teeth appear in the mount. 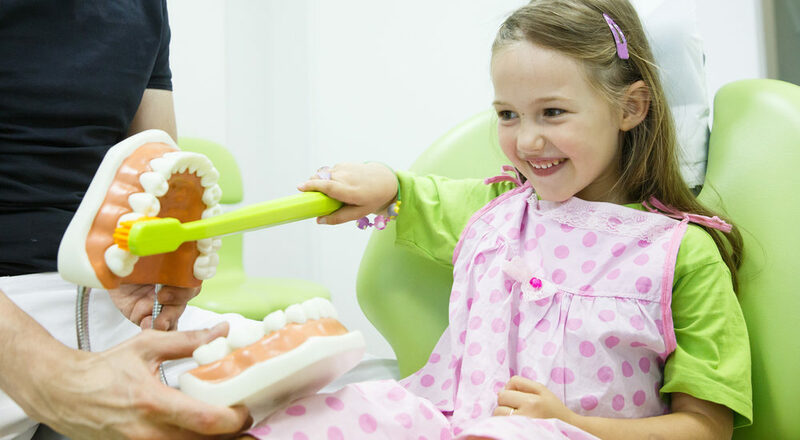 We provide all pediatric dentistry services for a child including X-rays, exams, cleanings, sealants, Flouride treatment and fillings. My goal is to treat, educate and inform both the parents and the children with regards to the changing dentition, the impact of certain oral habits and the ill effects of improper diet and nutrition. Dr. Agarwal welcomes kids of all ages from Redmond, Bellevue, Woodinville, Kirkland, Duvall and Carnation. At Avondale Smiles we also extend our special invitation to kids from our neighboring schools: Einstein Elementary, Mann Elementary, Rockwell Elementary, Wilder Elementary, Redmond Elementary, Redmond Junior High, Evergreen Junior High and last but not the least Redmond High School. At Avondale Smiles we also offer free dental care exams for little ones from the ages of 6-24 months. It is our way to encourage good habits right from the start.